Compatibility is the simpler of the two topics so let's start with that. Compatibility is not something you have, it is something you make. It is about how you speak to each other, how well you get along, and how you move through time together. Rarely do couples call me for a counseling appointment and mention compatibility even though large-scale studies have found “incompatibility” to be one of the top five reasons given for divorce. It is overrated because unity is more important. Unity does not mean that you are the same, it means that you are together. Rabbi Ralph Pelcovitz explained, "It's not important that spouses think alike, it's important that they think together." Communication is quite a different matter. In my practice, at least 90% of couples mention communication difficulties within the first five minutes of describing why they want to begin marriage therapy. Recently, one husband started by saying, “Here it is Dr. Singer, my wife and I need to improve our communication, big time!" In this essay, I will begin by describing relevant research, after which I will give you three examples of couples who start by mentioning communication even though there were clearly much more pressing issues. I will conclude with a wonderful poem written by a close friend about marital communication. There are several genuine communication issues that I have observed in couples whom I have counseled: an auditory hearing deficit, a language barrier (i.e. a cross-cultural marriage), and ADHD (with its symptoms of inattention i.e. appearing to not be listening even when spoken to directly). In the three case studies below, do you think that poor communication skills are the key to the difficulties in each couple’s relationship, or is there some other factor at work? 2. Susanne called me and described in great detail her communication issues with her husband. These issues were pushing them to the brink of divorce. She stated, "Brad asks my opinion but really doesn't want it. When I do speak, he acts controlling and declares 'lower your voice'. As soon as he hushes me, I flip out and shut down. Is there any hope for a couple like us, Dr. Singer? ‎Would you agree that there's a lot more going on here than communication issues? First, I told Susanne that yes, there is hope, because more than any other aspect of my role as a therapist is - first and foremost - to be a hope monger. The days of neutrality regarding the marital commitment are over. For the last five years, I have been listed on the National Registry of Marriage-Friendly Therapists. Second, I told Susanne, that more than any other descriptor, a marriage must be safe. Dr. Scott Stanley of the University of Denver outlines the four crucial marital safeties: physical, emotional, commitment, and community. If Brad is controlling Susanne, that may be an indicator of emotional abuse. When he demands that she lower her voice, he is acting superior, therefore the destructive element of “contempt” is at work here too. They lack civility and respect for each other. 3. Problems communicating. From my perspective in this essay, I would classify the first and second as “contemptuous” behavior, which sounds the death knell for many marriages, much more so than communication problems. 3. Jessica called me describing her communication problems. Her husband Barry is the consummate volunteer. He's on the community chevra kadisha and he oversees a ‎big-brother program at their shul. He buys groceries every week for a homeless shelter. Jessica pleaded, "When he buys supplies for the shelter, would it kill him to call and ask me if I need anything? Why can't he help me more around the house with various chores and scale back his volunteer work? It burns me up how he takes me and the house chores for granted. Almost daily, he comes home and we eat a quick dinner together. Then he falls asleep on the couch watching TV, sometimes for the whole night. If I get thirty minutes a day with him, that’s not a marriage!" What needs improvement in this marriage is not communication, but a drastic increase in the three A's: appreciation, admiration, and affection, and to run the house as partners with all chores equitably divided. It typifies what many couples struggle with: the time famine. The downpour of bitterness can't wash away the memories of moments, hours, days of shared happiness. The sound of your laughter lit the distance between us. Everyday commentary we bartered, offered us both useful insight. Movies, dinners, family times we enjoyed and remembered together. Me saying I'd love you forever, you saying you'd love me forever and a day. Yet recall is double edged ‎and reflections of fights also persist. Hours when we both probably felt brick walls would offer better answers. Days when a smile or a friendly joke seemed so remote, nearly forgotten. We'd each say painful words to touch a nerve, push a button. But I was always so certain the goalpost was that forever. I always trusted you so deeply to say when it hurt too much. To cry when the cost was too high before it overcame us both. The cold spell came, I didn't see much warning. You couldn't say why or what, feeling a frigid wind bite. I yelled and begged for a sign, you just pulled farther away. I wish I'd have known earlier, of the sinking feeling that held you. ‎Instead of hearing it first that night when you poured out, with calm resolve your sorted collection of discontent. I guess you'd felt trapped without voice to yell for help. Maybe you thought I didn't care, or would have held on too tight. Still, you should have told me and not bottled it inside. While you smiled to the town, laughed with friends and family, talked about plans and the future, held me close, and spoke tenderly. You left so many questions, so many mysteries to be unsolved. With painful feelings of desertion and difficult notions of deceit. Still, I miss you sometimes. Still, I wonder how you are. You've moved on and so will I. Yet it seems so tragic to see the circle of our intimacy close, leaving us without words. My maternal grandfather, Yitzchak Shaul Halevi Horwitz z'l, became proficient in Esperanto. A constructed language fashioned by a Jewish Ophthalmologist ‎Dr. L. Zamenoff in 1887, the word Esperanto literally means "one who hopes." My Uncle Chaim z'l enlightened me, "The hope was to achieve world peace with better communication by using one common language. It was a beautiful goal but it never caught on." Rav Shmuel Bornstein‎, the Rebbe of Sochaczev, in his brilliant and inspiring commentary the Shem MiShmuel, commented on the laws pertaining to vows found in Parshas Mattos. "A vow can create something quite remarkable," states the Shem MiShmuel, "for it can imbue an ordinary object with sanctity or with prohibition. The power of speech is sufficient to alter the nature of an object changing it entirely from something ordinary into a mitzvah item. We have the ability to sanctify the world with our speech." He concludes, "The Torah here enjoins us not to misuse this power by speaking nonsense or uttering vows that we will later profane." One take-home message from this essay should be not to invest all of your time and energy in working on what you should say. Be more careful about what you should never say to your spouse such as demeaning comments or sarcastic remarks. It is inspiring that Pirkei Avos states, Emor m'at v’aseh harbeh--Shammai asserted, “Say little and do much" (Mishna 1:15). Here are two tales of estrangement. The first type is a parent cutting-off contact with a child following a divorce also referred to as parental alienation. 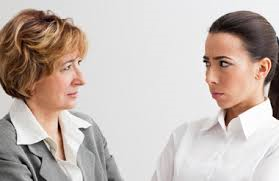 The second is when an adult child ceases contact with a parent, sometimes for no apparent reason. This is especially agonizing when grandchildren are involved. Debora is a fifty-three year old nurse practitioner and mother of five living in Boston. She is estranged from her father and oldest brother, Jonathan. "My father had a temper and needed medication for mood disorders but never got them. He verbally abused my brother Mordy and me. After the divorce he said to us, "I don't need you; go to your mother and don't sit shiva for me." Deborah recounted, "I had such a lousy childhood because he stole it from me. The worst day of each year was camp visiting day; I dreaded it. There’s no hope of reconciliation and that is his loss. I might sit shiva for him though, because he did give me life. Deborah described, "Our oldest brother was brainwashed by our father and turned against us. I have the opposite perspective in describing Jonathan compared to my father. My lack of connection with my brother hurts me and touches a place deep in my heart. Ten years ago we were so scared because my brother was the victim of a life-threatening car accident. Even though we were estranged, my mother and I visited him in Massachusetts General Hospital. As we entered the hospital we were petrified: what if we would lose him? I held in my hand, the invitation to my wedding which would take place the following month, thinking it would give him something to live for. Can you believe it? He was rude to us and we felt no connection. Despite that I continued texting him for months to say happy birthday or Shana Tova. There were no replies until one day he wrote "don't text this number again." I admit, Dr. Singer, that I am quite resentful, but I daven that he should get better. I think to myself, it is over two decades of this nonsense, just get over it! Don't carry this into the next generation; get help and move on. It hurts because I care." Debora concludes, "I live each day of my life to the fullest. I thank Hashem and appreciate that I have my large wonderful family. I run from arguments and stress. Thanks to my mother, Mordy and I have the necessary coping skills." To understand an adult child estranging a parent requires the expertise of Dr. Joshua Coleman author of When Parents Hurt. He asserts, "You can be a good parent and still end up with a child who wants nothing to do with you." Many parents have little or no contact with their adult children due to reasons that have less to do with poor parenting and more to do with issues of child temperament, the influence of a domineering spouse, or the fallout from parents who divorce. In my experience, a significant number of adult children who cut off contact with their parents are those described by the parent as "good” children who were not rebellious and did well in school. What’s at the core of this type of estrangement? Blaming parents is one way to direct the blame away from the self and maintain a sense of self-esteem. Pathologizing their parents may be the only way to reduce the guilt or anxiety they feel about constructing a life without their parents involved. During a Skype counseling session, Judy, a Houston-based real estate agent revealed to me, that her adult daughter will not accept any phone calls or texts from her. Her daughter sees a therapist weekly who likely nurtures this emotional cut-off. ‎Her emails end with Do Not Initiate Contact. “Do you know how much that hurts me?” Judy adds, "I really can’t think of a reason why this estrangement started in the first place." I advise parents who I counsel to tread cautiously and if necessary walk on eggshells. ‎The real reason is the pot of gold at the end of the rainbow: your future grandchildren. You do not want to do anything to jeopardize your connection to your precious future generations. When parents believe that it's all their own fault Coleman maintains, "Don't give your child all the power in this discussion. You did the best that you could in parenting. If your child won't move forward, you move forward.‎ Simply ask your children, "What did I miss when raising you?" and then state: “whatever it is, I'm sorry." 1. Do not sugar-coat it if you blew it as a parent. The more honest you are, the more credibility you will gain. ‎2. 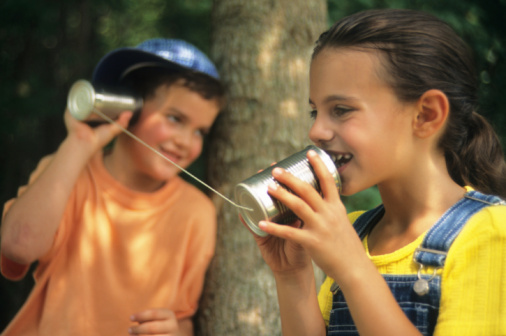 If there is only a kernel of truth in your child's complaint, speak to that kernel. 3. Avoid guilt trips, they don’t work. 4. Hear your child out, don’t be defensive. 5. Don't give up too soon. You may need to reach out for a long time before you see an improvement in the relationship. 6. Avoid giving unsolicited advice. 7. If you don't want to (or cannot) give money or help, say it in a loving way so it does not appear to be a complaint or a criticism. 8.‎ Don't criticize your child's spouse or significant other. 9. Don't tell your child how to parent. You had your turn; let him/her have a turn. Colorado therapist Michele W. Davis is a colleague and an inspiration. At an in-service for couples therapist's she urged: If you want to help couples reconnect and have hope, you have to walk the talk. Don't allow yourself to have emotional cut-offs in your life. ‎Don't give yourself permission to quit speaking to a parent, sibling, or a child. Don't give up on any difficult relationship. Emotional cut-offs are a form of giving up. They happen when you tell yourself that nothing will ever change and you’re better off safe than sorry. Even if you feel safer, you know that there is a sadness which goes along with giving up and it is ever-present. Life eventually gives all of us important opportunities to learn how to rise above adversity. The navi best expresses the hopes of Klal Yisrael: “Behold, I will send you Eliyahu HaNavi before the coming of the great and awesome day of Hashem. And He shall turn the hearts of the parents to the children and the hearts of the children to their parents” (Malachi 3:23-24). Teachers are empowered to transmit knowledge to students in their classrooms. Mr. Kreisberg, my science teacher, taught me that the pursuit of knowledge can be an adventure. Mrs. Greenberg, my English teacher, demonstrated that literature can be mind-expanding. And Dr. Hershkowitz’s semester of social psychology inspired me to change my career track. You don’t have to pay tuition to a prestigious school to encounter great teachers. The subject titled, Lessons for Your Life is taught to me frequently in Penn Station by Croissant Man, AM-New York man, and Guitar man. Croissant Man wants to sell you something, AM-New York man wants to give you something, and Guitar Man wants a donation from you. Whenever a morning person greets Croissant Man with, Hi Jim, how are you doing? He responds, “Another day”. I feel the intense boredom in his monotonal response. But he brings himself to work every day in this stressful economy and I do respect him for that. Another day can be something you have to drag yourself through or another day can be the opportunity of your lifetime. “Rabbi Tarfon would say: The day is short and the work is considerable” (Pirkei Avos Ch. 2). If you skipped work for a day and only did Gimilut Chasadim (good deeds) for your family, friends and neighbors, think of how much you’d accomplish in one day. The take-home lesson: time, not money, is the real use it or lose it. AM-New York Man has a completely different attitude as he enthusiastically proclaims, “Good morning to you. Trust me….if you’re breathing, it’s a good morning!” How often do I step off my commuter train in the morning and express thanks to the Almighty that I am breathing? I am usually late for an appointment and some guy’s duffel bag just rolled over my foot as I jog to the subway, which probably just left the station. AM-New York Man gives me a lot more than a free paper each morning. When you have your health and another day, you have the world. The take-home lesson is the Dayenu principle of life, as explained by my life-long teacher Rabbi Shlomo Riskin: Zero in on what you have in life; not what you’re missing. Guitar Man sings rock and roll music all day long and never exhausts. His open guitar case has some coins, some dollar bills, and a sign that reads, “I’m a street musician - too weird to live, too mean to die.” I don’t know what his sign means and I have never recognized even one of his tunes. I have never seen such perseverance in a man and that inspires me. 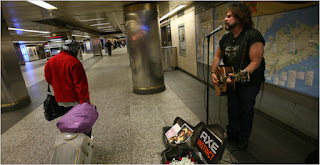 He stands in his corner of Penn Station, enthusiastically singing and strumming from sun-up to sun-down, even if his audience is only one person. I admire passion when I see it and doing what you love all day is a display of passion. As I put a dollar bill in his guitar case, he smiles and sings the words, “Thank you brother, now you go have some fun….promise me”. The take-home lesson: persevere in what you love. Do I use my time wisely? Do I appreciate what I have? Am I passionate about what I do? I have accomplished a lot, and it is not even 9 AM. I never imagined my daily commute could be so stimulating. What an unlikely school in which to encounter such exemplary teachers. Ben Zoma asks: Who is wise? The one who learns from every person; as it is written (Psalms 119:99) I have gained understanding from all my teachers (Pirkei Avos Ch. 4). 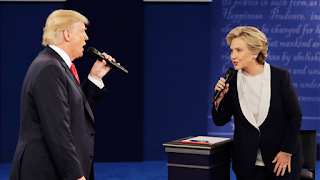 A growing number of unhappy couples are having heated arguments about Trump versus Clinton and, as a result are now making appointments for marriage counseling. It is no surprise given that the American Psychological Association just concluded that half of U.S. adults say this election is a significant source of stress. In fact, half of the couples I counsel place political arguments at the top of their sparring list. ‎ I haven't seen this many political arguments in my career as a couple’s therapist. There has not been so much dissatisfaction and stress as with presidential candidates Trump and Clinton. The problem is not as simple as spouses stating, let's just agree to disagree. If it were, marriage counseling wouldn’t be needed. Here’s how I have tailored my guidance for conflict resolution skills for these couples. The fundamental truth is that each couple has the instinctive skills to solve their own problems and cultivating and nurturing those skills may be my most important role as a therapist. ‎It is imperative to change the habitual patterns of unfair arguments. Most couples know how to de-escalate as well as how to escalate a disagreement. These Clinton/Trump disagreements turn into raging arguments that go for weeks and escalate at the risk of causing long-term damage. The wife yells at her husband, you are an arrogant thick conservative just like your father, and the husband sneers back, it’s no wonder you support Hillary because you are both lying liberals. When she shouts, he is insane and I don't know how I ever married him and they question each other's character, the situation spirals out of control. What started as a disagreement over political viewpoints is threatening the fabric of their marriage. The first priority is for me to assess their communication. I ask them to continue their argument in front of me for 20 minutes while I study their facial expressions, body language, tone and the volume of their voices. After a glimpse of their sparring style, it is time to get to work and tone down the harmful rhetoric. Number 1: Teach couples how to de-escalate by calling a time-out when things get heated and they both get flooded. A time-out can’t be for five minutes because that is not enough time to calm down. Try an hour or a day or a week or just table the whole discussion and lock it in a cabinet. If the couple doesn’t calm down quickly and speak in a normal tone of voice, I apply some pressure by asking, you have ten years invested in your marriage and two children and you are ready to flush it down the drain for political differences? Last, who dreamed up that you have to resolve all your marital differences before bedtime each night? It is preferable for couples not to go to sleep angry, but resolving all differences is an unrealistic goal. Do you know what spouses should do each night? Express respect, affection, and appreciation to each other; tomorrow is another day. Number 2: I re-focus the couple back to the topic of politics and not each other's character. I establish a ground rule: No personal attacks on your spouse in any shape or form. Otherwise this “external” conflict devolves into an “internal” struggle. Keep it on the outside; keep it external. It cannot be allowed into the inner sanctum where you store feelings, emotions, hopes, and dreams for you, your spouse and family. Number 3: I insist couples understand the difference between a disagreement and an argument. Disagreements are normal and common in healthy long-lasting marriages. ‎ Arguments, especially those that are scorching, are not. I reference the indispensable research of Psychologist Dr. Jon Gottman. Gottman found that two thirds of relationship issues in normal couples are perpetual. Examples of the most common disagreements are: parenting, money, work stress, intimacy, in-laws, and household chores. In his "love lab", Gottman discovered that it is the "regulation" of conflict not the "resolution" of conflict that is critical. Number 4: I remind each couple of the marital commitment they made in front of family, friends, and God. It is not a commitment as-long-as the love is strong, or as-long-as our political views remain in-sync rather it is a commitment No Matter What. Too often these days, commitments are like Velcro, it holds well but is easy to pull apart (Professor Bill Doherty). Commitment is crucial as we humans are evolving and dynamic. Circumstances change; life happens. Just because you don’t have an in-law issue this year, doesn't mean you won’t next year. After all, your mother-in-law might move in with you. You don't argue about parenting your toddlers currently, but have you prepared yourself for adolescence? Not arguing about finances now is great, but what if you are laid off in an economic downturn? As a last resort ‎I give couples an ultimatum that they must tone down the rhetoric, halt the character attacks, and start repairing immediately. I don't have a crystal ball, but I will predict that if you both continue down this road, you will likely destroy your marriage. The consequences of that choice not only impacts you both but doubles the chances that your children will get divorced. Final note: This is a disagreement that will not end on November 8 with the presidential election. One candidate will be the winner; the other the loser. In a scorekeeping relationship which is as common as it is detrimental, one spouse will believe that he/she is the winner of the argument. ‎If the losing spouse rubs it in for months with quotes like I told you this is the kind of president she will be, it is a recipe for continued provocation and friction. Also, keep in mind that marriage is not a 50-50 arrangement. Do you know how to really win big? By giving more in your marriage, not by taking more. Can you Guess The Secrets of a 50 Year Marriage? This is one heck of a sweet story from the Boston Globe. Click here to read the article. This is not a research study, it's just some wonderful quotes from some long-term married folks. Said Rosemary Kreder (91) about her husband, "His jokes are so bad that they're actually funny. And he always waits for the laugh." Spoiler Alert: what are the two most common responses? Humor and Laughter. No surprise there. Not sure who first said it but....Take what you do seriously; don't take yourself too seriously. YES....inject humor and levity into your marriage...a well as your family....as well as your friendships....as well as your life! Laughter has been shown to be therapeutic, just like smiling is contagious. That's my conclusion and as Steven Wright says: A conclusion is the place where you got tired of thinking. Therapist: 38 years of experience as a Couples Therapist. 80% success rate in saving marriages on the brink. Offices in Brooklyn, N.Y. and Highland Park, N.J. Motivated by the sad statistic that two thirds of divorcing couples don’t receive one hour of counseling, Dr. Singer has been a marriage therapist since 1980 and he counsels couples using Skype and Google+. 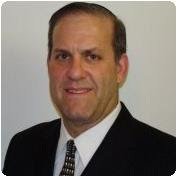 He serves on the speakers bureau of the National Council of Young Israel, is a mental health provider for Relief Resources and is listed on the National Registry of Marriage Friendly Therapists. In addition, he serves as a recovery therapist for the Beyond Affairs Network. twitter.com/DrAlanSinger. Married for 40 years, Dr. Singer and his wife are the parents of four grown children. He has conducted numerous broadcast and print interviews including: USA Today, Fox Morning News, MSNBC.com & Huffington Post. His mantra: I Am The Last Person In The Room To Give Up On Your Marriage. 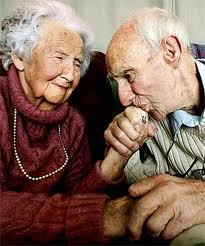 Is There an Ideal Age for First Marriage?